Route mapping software guarantees that every route you give your drivers is the most efficient route possible. That means you won’t need to use as much fuel to visit all your customers. Gas is one of your biggest expenses, right? Well, when you use a route planner, you’ll be able to reduce that expense significantly. UPS saves hundreds of millions of dollars every year by avoiding left turns. You could save a lot of money by avoiding left turns, too. Think about it: when your driver goes to take a left turn, they don’t have the right of way. They need to wait for traffic to clear before they can take the turn, and there’s no telling how long that will take. All that idling eats up a lot of time and gas… You’ll be better off avoiding left turns altogether. 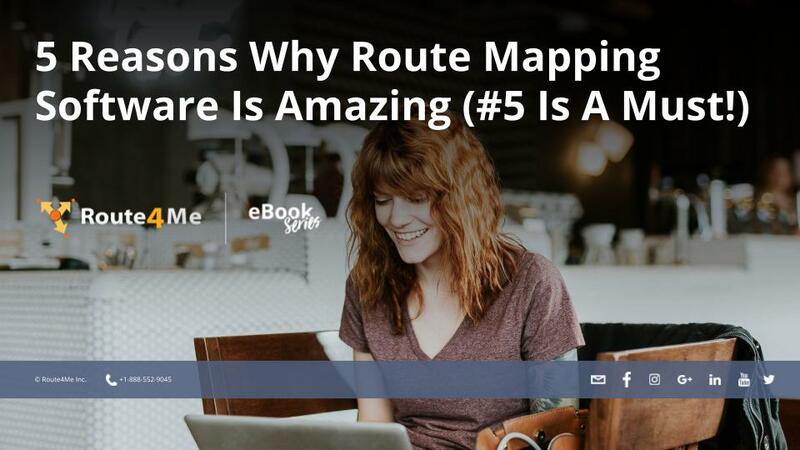 Many routes planners have a feature that allows you to do exactly that. Workers of all kinds tend to slack off a bit when they’re unsupervised, and drivers are almost always unsupervised. Your drivers might be taking unsanctioned breaks while they’re on the clock. You can’t see them, so how do you know? Your driver might need more than an address to quickly make a stop. Some places, like hospitals and universities, have more than one entrance. If your driver doesn’t know exactly where to go, it’ll take them a while to figure it out. That would make them late to their next stop, which would make them late to the stop after that, etc.